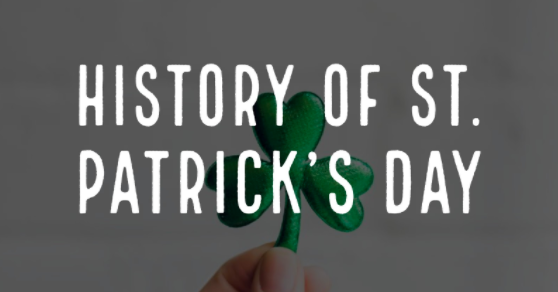 When you hear or see the date March 17th, we’re sure your mind immediately goes to St. Patrick’s Day just like ours does! St. Patrick’s Day is an observance of St. Patrick’s death and is treated as a religious holiday for the Irish. Many celebrate this holiday, even those who don’t have any Irish ancestry. It’s a time of revelry for many and an excuse to drink and celebrate all day. Even though you may not have Irish ancestry, you’re still welcomed to enjoy and celebrate the popular holiday. Just remember to drink responsibly, in moderation and to never drink and drive. To truly enjoy the fun celebration that is St. Patrick’s Day, here are some ales we recommend! Lough Gill Brewing Co., an Irish independent brewery in Sligo, Ireland and their Imperial Oatmeal Coffee Stout. As well as their Mac Nutty and ‘Round the Clock. Another perfect ale for this holiday is Wachusett Brewing Company Quinn’s, a smooth amber ale named in honor of their founding brewer and favorite Irish-American Peter Quinn. Which will you choose to celebrate St. Patrick’s Day?